The long-lost PBS documentary video on the Construction of the World Trade Center in 1972 designed by Minoru and Yamasaki. 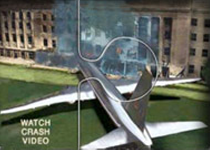 The video purportedly shows details of construction of this ‘jetliner-proof’ megastructure that run directly counter to claims made by NIST and the 9/11 Commission Report. See if you can’t spot some of these! The video run time is approximately 18 minutes.